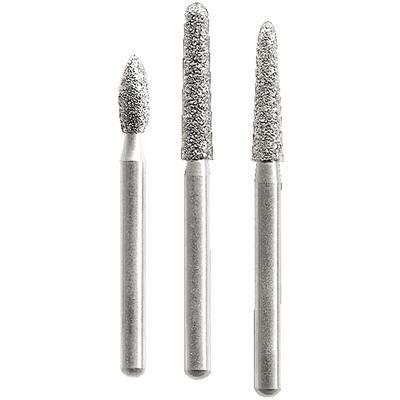 Spring Health Products has been manufacturing diamond burs for more than 30 years. You will be amazed at the performance of the award winning Spring FG Turbo & Regular diamonds due to the electrogalvanizing process to bond the diamonds. Less turbine wear and ease of cut are the result of true concentricity by micro-precise calibration of shank diameters, resulting in smooth, fast cut (concentric single shank which is 420 heat treated stainless steel). The shank fits very tightly into the handpiece resulting in excellent cut without chatter. The diamonds also feature a spiral design, allowing water to cool through diamond-free channels for a faster, clog-free cut.